Wahoo! When I first used an Ott light when I was sewing with black thread on black fabric I could actually see the thread, even at night! With the LED light in the right color for my eyesight, who knows what else I can sew at night?! Ambient Light with LED. Creating a soft and flattering light plays a role in your overall lighting scheme. LED produces a far more pleasing glow than other bulbs. The light of an LED bulb is a soft, white light. 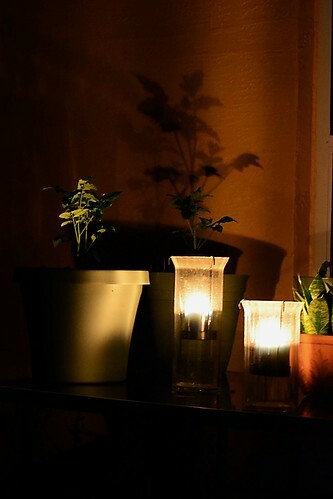 It brings a comforting, cozy feeling to any room, without the harsher, more yellow glow of other bulbs. There are … The beauty of LED lights is you can create that soft white glow, but you can also choose from a myriad of colors to complement any mood or design. I hope that this blog was as much fun to read as it was to research! This entry was posted on Thursday, April 11th, 2013 at 9:33 am and is filed under Fabrics Blog. You can follow any responses to this entry through the RSS 2.0 feed. You can leave a response, or trackback from your own site.